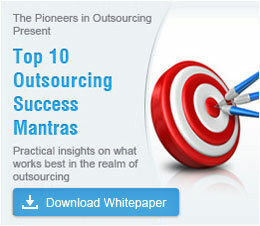 Outsource2india, a pioneer in outsourcing is located in Bangalore, the silicon valley of India. O2I has been providing world-class and technology-driven BPO services to global customers, since 2002. Outsource to Outsource2india and give your organization a competitive edge! There are a number of reasons why Bangalore attracts a large number of ITES and BPO customers. Moderate climate, good labor relations, excellent education and research institutions, good telecom connectivity, advanced infrastructure, better state policy and investor perception are just some of these reasons. In a survey conducted by KPMG and NASSCOM, ITES customers were more attracted to a place if there was a proactive government who had the ability and willingness to facilitate new investments. Bangalore scored over all other Indian cities in the survey in terms of human resources, policy support and nature of work. The city is the capital of the state of Karnataka and ever since Bangalore began to show potential for being an IT hub, the state government has gone all the way to push it to the top. Outsource2india is strategically located in Bangalore, the IT hub of India. Outsource to O2I and leverage the advantages that Bangalore offers. Creating Software Parks: The number of companies flocking to Bangalore are on the rise. Observing this increase, the government decided to create spaces which would help to cut down on travel time and reduce the strain on the infrastructure in the city. The International Technology Park, Electronics City for the electronics industry, the Export Promotion Industrial Park for export oriented businesses, and the IT Corridor project which will cater to knowledge based industries, are all designed as self sufficient units with excellent infrastructure and state of the art facilities. International Airport: Bangalore has more than 1000 technology firms. With the large volumes of international traffic to the city, the construction of a $245 million, 4,300 acre international airport has been constructed. It can handle 4-4.5 million passengers and 130,000 tons of cargo. International traffic is expected to constitute about 1 million passengers out of a total of 4 million passengers projected to use the airport. The government hopes that this will become the regional hub for Asia and generate 1000 jobs per million passengers. Telecom Facilities: There are a wide range of choices in the telecom sector. The entire state is networked via Optic Fibre Cables(OFC) by the state run BSNL as well as private companies like Bharthi, TATA, VSNL and Reliance. Bangalore is connected to the major submarine cables cables viz., India-UAE ; SEA-ME-WE-2 ; FLAG ; SEA-ME-WE-3 through Mumbai ; SAFE and SEA-ME-WE-3 through Cochin and i2i SINGTEL through Chennai which is a joint Televenture of Bharati Telecom. The i2i submarine cable has 8.6 terra byte capacity. There is also excellent International bandwidth via satellite. The STPI, Bangalore, provides more than 1050 IT companies, who are its customers, with Individual Satellite Connectivity. STPI Bangalore accounts for 45% of the total STPI revenues in India. The state government constantly encourages the development of Small and Medium Enterprises(SMEs). A large amount of funds is put aside for technological up gradation. Also SMEs in the BPO sector are urged to obtain ISO 9000, ISO 14000, and similar international certifications to promote quality. The government provides assistance by meeting 50 percent of the cost of obtaining such certification, subject to a ceiling of Rs 75,000 per industry. Bangalore is home to a thriving IT industry, but the state government has decided to encourage activity in other parts of Karnataka as well. In 1999, STPI established earth stations in Mysore and Manipal. In 2002, a software technology park was inaugurated at Hubli. Non metro cities like Mangalore, Hubli, Mysore, and Gulbarga have great potential as they have excellent educational institutions, good connectivity and infrastructure. The state government is constantly exploring new ways of encouraging investment in the BPO sector and ensuring that the potential for job creation is fairly distributed across the state. At Outsource2india, we provide cost-effective services without compromising on quality. Outsourcing can give you access to specialized services. Our professional, trained, skilled and knowledgeable team can provide services which can increase your productivity and at the same time reduce your expenses. Outsource to O2I to increase your business value and maximize your revenue.